What makes the LaserTouchOne so effective? It treats the source of the pain, not the symptoms. Medical practitioners have traditionally utilized immobilization and powerful medications to mask or numb the pain which only treats the symptoms of pain, not the source. 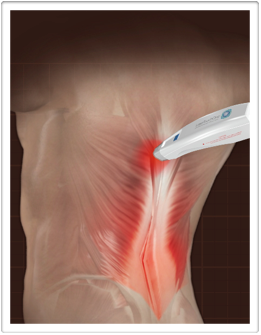 The LaserTouchOne™ is effective because it stimulates the damaged cells to promote re-growth and healing rather than hiding the pain. There are very few limits to what this device can provide to sufferers of acute or chronic pain.